Location: 35 km/22 Miles N of Durban City center. Airport Overview: A single terminal with arrivals on the lower level and departures on the upper. General: Taxis wait outside arrivals. The ACSA landside metered taxi manager may be contacted on 032 436 6608. Beware of numerous taxi touts. Cost: Approximate maximum fares are ZAR 250 for a trip to Umhlanga and ZAR 450 to the centre of Durban. Prices are for the trip and not per person. A 10% tip is usual for good service. Taxi Companies: City Cabs Tel 082 0866 888. Umhlanga Rocks Cabs 031 561 1846. Margate Mini Coach	to Durban & Margate: Route: King Shaka Airport - Durban Station/Greyhound Arrivals terminal (15 mins) - Amanzimtoti/Total Garage in Kingsway (0:45) - Scottburgh (1:00) - Hibberdene (1:30) - Port Shepstone (2:00) - Margate (2:30) - San Lameer (2:45) - Wild Coast Sun (3:00). Timings: Buses leave the airport at 1000 (except Sundays), 1300 (except Saturdays), 1430 (daily) & 1830 (except Saturdays). Cost: To Durban Station ZAR 100, Amanzimtoti ZAR 160, Scottburgh ZAR 160, Hibberdene ZAR 160, Port Shepstone ZAR 160, Margate ZAR 160, San Lameer ZAR 210 & Wild Coast Sun ZAR 230. Contact: Tel 039 312 1406 or after hours cell phone 082 455 9736. On-Airport Rental Car Providers: The Car Rental Building is next to the terminal (south side, short walk). Follow the signs. AVIS, Capital Car Hire, EUROPCAR, First, Budget, Dollar/Thrifty, Woodford, EEZI, HERTZ & Tempest. By Train: There are plans to link the airport to a nearby railway line in the future. King Shaka Airport Shuttle Service: King Shaka Airport Shuttle buses run between the airport, Durban city centre and other destinations on demand. Follow signs for Public Transport. Cost: To Durban City ZAR 290 per person, La Mercy Hotels ZAR 180, Umhlanga Rocks ZAR 190, Chatsworth ZAR 390. Contact: Tel: (+27) 084 2311 363 or 031 822 7783. Airport Bus Transport CC: Airport Bus Transport CC buses run between the airport, Umhlanga Hotels and Durban hotels. Follow signs for Public Transport. Timings: Buses leave the airport every 30 mins. Buses leave Durban Hotels every hour 0500-2000. Buses leave Umhlanga hotels every hour 0530-2030. Cost: To Durban City ZAR 70 per person & Umhlanga ZAR 50. Contact: Tel: (+27) 031 465 5573, 031 465 1660, 082 340 9990 or see www.airportbustransport.co.za. EZ Shuttle: Shuttle buses run between the airport, Durban city centre and other destinations on demand. Follow signs for Public Transport. Cost: Costs seem to be geared towards groups rather than individuals. See website for details. Contact: Tel: (+27) 12 348 0328 or 0861 748 8853. Southern Shuttle: Southern Shuttle run between the airport, Durban city centre and other destinations. Route: Airport - Durban Station (20 mins) - Durban Harbour (only the 0940 departure from the airport)(35 mins) - Amanzimtoti (1:15) - Scottburgh (1:30) - Hibberdene (2 hrs) - Port Shepstone (2:20) - Shelly Beach (2:35) - Margate (2:50) - San Lameer (3:05) - Wild Coast Sun (3:20). Timings: Buses leave the airport (Public Transport Area) daily at 0940, 1315, 1445 & 1730. Cost: To Amanzimtoti ZAR 140 one way, Scottburgh, Hibberdene, Port Shepstone, Shelly Beach & Margate ZAR180, San Lameer ZAR 210 & Wild Coast Sun ZAR 230. Contact: Tel 081 475 75 75 or 079 571 9900 or see www.southernshuttle.co.za. Southern Explorer/Margate Coach: Margate Coach run between the airport, Durban city centre and other destinations. Route: Airport - Durban Station (25 mins) - Amanzimtoti (0:50) - Scottburgh (1:05) - Hibberdene (1:35) - Port Shepstone (2:05) - Margate (2:30) - San Lameer (2:45) - Wild Coast Sun (3 hrs). Timings: Buses leave the airport (Public Transport Area) at 1000 (Mon-Sat), 1300 (daily except Sunday), 1430 (daily) & 1830 (except Sat). Contact: Tel 039 312 1406 or see www.margatecoach.co.za. Other Buses: Airport shuttle services are reported to be operated by Cheetah Coaches 033 342 0266, Sunride Shuttle 031 408 1881 and Coastal Motor Transport 031 465 5573. They leave from in front of the terminal. Magic Bus runs door to door transfers. Tel +27 31 263 2647. General: The car parks are opposite the terminal. Exit arrivals and follow the signs under the tunnel. Pick-up Zone Parking: 0-20 mins free, 20-30 mins ZAR 20, 30-60 mins ZAR 30, 1-2 hrs ZAR 50, 2-3 hrs ZAR 100. Each extra hour ZAR 50. Multi-storey covered Parkade: 15 mins free, 15-30 mins ZAR 10, 30-60 mins ZAR 15, 1-2 hrs ZAR 20, 2-3 hrs ZAR 30, 3-4 hrs ZAR 40, 4-6 hrs ZAR 80, 6-10 hrs ZAR 120 & 10-24 hrs ZAR 160. Shaded Parking: 1 hour ZAR 12, 1-2 hrs ZAR 15, 2-3 hrs ZAR 20, 3-4 hrs ZAR 25, 4-6 hrs ZAR 40, 6-10 hrs ZAR 60 & 10-24 hrs ZAR 80. Long-Term Parking: 3 days ZAR 186, each extra day ZAR 40. Baggage Storage: Left luggage facilities are available in the domestic arrivals hall. Currency Services: ATMs/Cash Machines in arrivals. Bureau de Change/Currency Exchange in arrivals. Notes: A tourist information desk is downstairs in arrivals as well as a Post Office. Baggage carts are free. King Shaka Intl Airport (KSIA) is now open, and all flights from the former Durban Intl Airport have transferred here. This airport is sometimes known as La Mercy airport. Airport Tel No: Flight information +27 (0)86 727 7888. Help desk +27 (0)32 436 6758. Updated Apr14 ADV. Last Visit Dec12. Location: 12 km/7 Miles NE of Durban City centre. 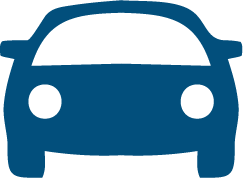 Rental Cars: CitiRent can arrange for cars at this airport. Tel 031 561 4600 or 6142. Notes: This airport is used for general aviation and occasional commuter flights. All other flights operate from Durban King Shaka airport. Airport Tel No: +27 (0)31 563 7101.